Did you teach your child to ride a bike? Many parents are passing on the responsibility of teaching their children how to ride a bike. 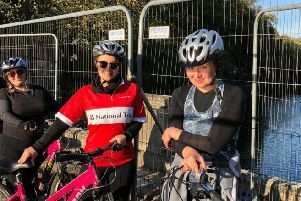 Instead, 31 per cent of parents in the Midlands admit they struggle with having the patience and would rather pay for bike lessons, spending an average of £122.37 per child - representing a massive £841 million across the UK.